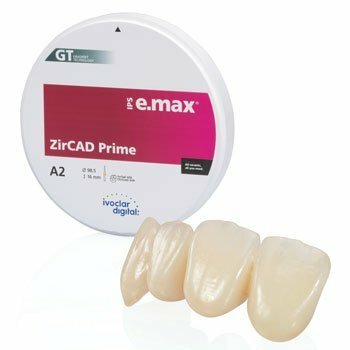 IPS e.max ZirCAD Prime—redefining zirconia. Ivoclar Vivadent presents a highly esthetic zirconium oxide in a ‘one-disc solution’ for dental laboratories. Only few brands have actually managed to revolutionise the dental market. IPS e.max is one of them. Now, Ivoclar Vivadent launches IPS e.max ZirCAD Prime, a material that is redefining zirconia. Is there a disc that features high-strength and high esthetics? A disc suitable to faithfully reproduce the seamless progression of natural dentition? A disc with a broad range of indication? Yes, and this is it.